Kromite CD is a modified 4140 alloy. It is offered in the cold finished annealed condition. Typical hardness is Rockwell “C” 19/24. Typical tensile strength 114,000 PSI. 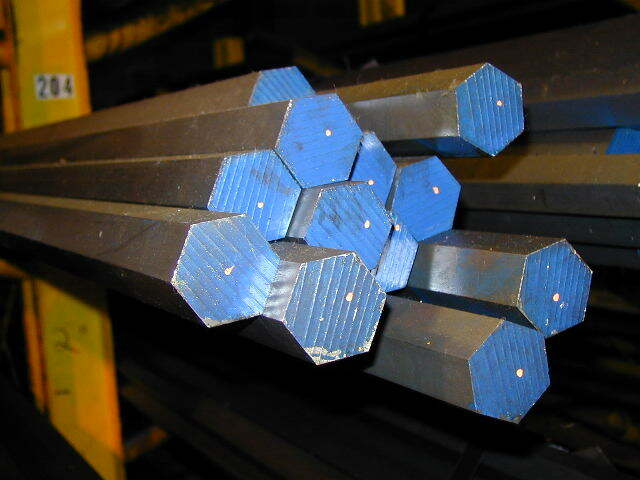 Its wear resistant properties far exceed that of “cold roll” steels. It is easy to machine and will accept additional heat treatment. Consider as an excellent upgrade in applications where commercial alloy and carbon steels including AISI 1018, 1045, 1060 and 4140 are utilized. Single largest selection of cold drawn alloy shapes in one location in North America. 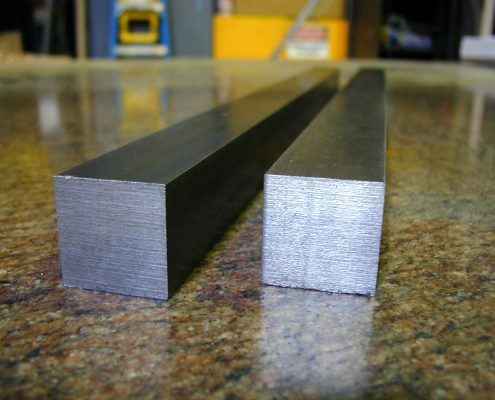 Kromite CD is an excellent high strength steel for all forms of transfer and various guide rails in the automotive, food processing (beef and pork slaughter operations), major appliance and material handling industries. Call or email us for a quote. Proprietary Chemistry – a chemistry that offers excellent cleanliness and a well defined grain structure to provide fatigue resistance when material is in service. Electric Furnace Melt – offers greater quality control at the mill including refinement of chemistry, grain size and shape. Vacuum Degassed – eliminates many impurities found in standard commercial grade alloys. The result is a better, cleaner, and stronger product that extends service. Improved Mechanicals – cold drawing is cold working and as a result an increase in both tensile and yield strength is achieved. Greater resistance to “mushrooming” under load as compared to carbon and/or mild steels. 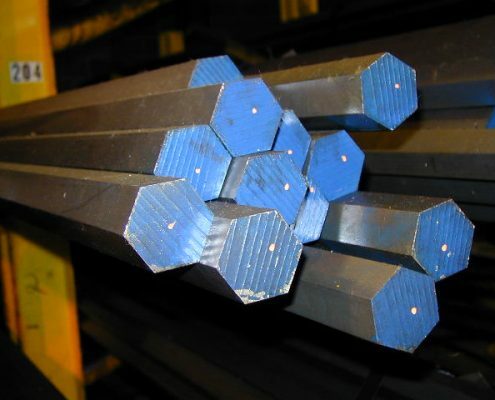 Improved Wear Resistant – capabilities far exceed that of “cold roll” steel. Machine Straightened – eliminates excessive bow and distortion. Our standard straightness is 1/8″ in any 5 feet, better than twice the industry standard (for rounds and squares only). Boxing is recommended to protect during shipment. Sheffield™ CD is the past protected tradename of North American Steel Company. For our bar fabrication capabilities and services, click on the button below. © Associated Steel Company / An Alliance Sterling Company Powered by Dynamics Online, Inc.